This lovely two bedroom, two bathroom Brookside model condo in the Terraces of Highland Woods is your little piece of Paradise. Being sold turnkey furnished this condo has a little rustic feel to it. 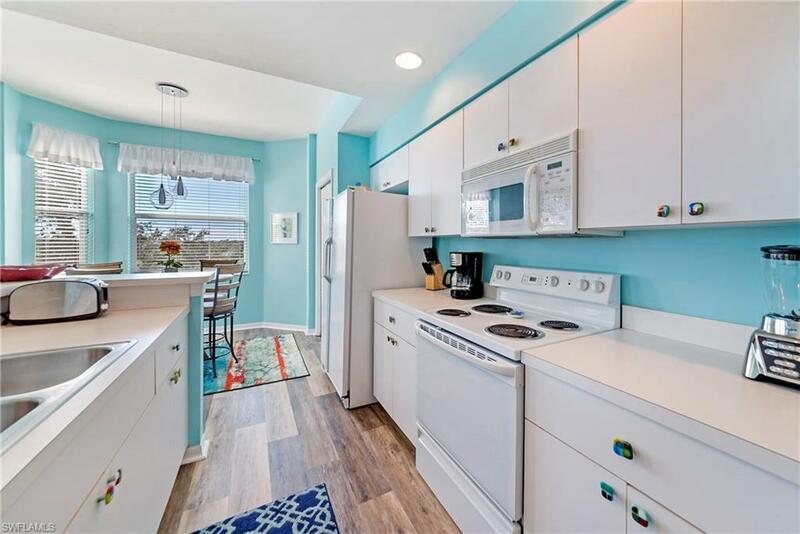 Laminate flooring, fresh paint, and tastefully decorated you can move right in to this condo and start living the Florida lifestyle. Highland Woods is an amazing value offering golf, tennis, bocce ball, a state of the art fitness facility, a restaurant and bar, an extremely active membership, and possibly one of the best locations around. Located directly across from the Promenade in Bonita Springs, you have shopping, dining, and entertainment within walking distance. Coconut Point mall is a short 10 minute drive, as well as The Shops at Mercato, which are right down the road. Lastly, the beautiful waters of the Gulf of Mexico are only four miles away. A lovely condo, in a beautiful community, in a spectacular location. Come see what this condo and Highland Woods has to offer.